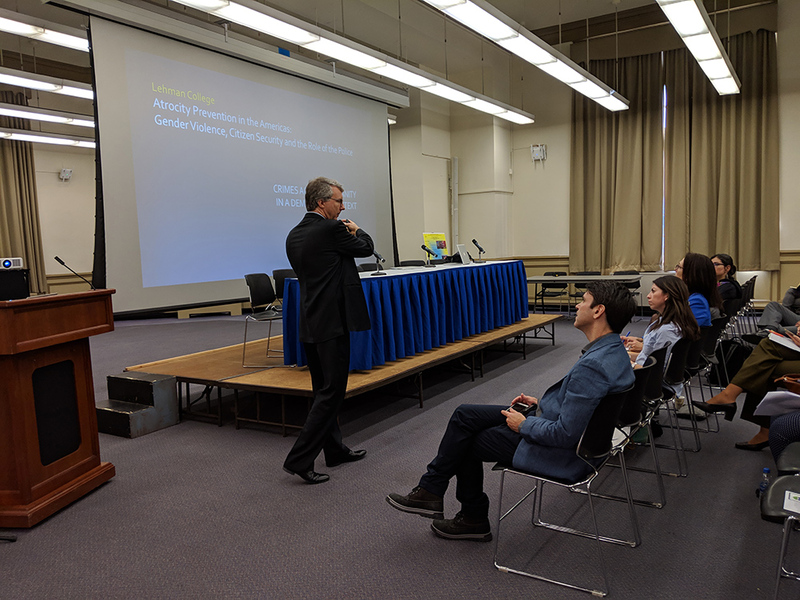 On November 29-30 of 2018, the Auschwitz Institute for Peace and Reconciliation (AIPR) joined with the Center for Human Rights and Peace Studies at Lehman College of the City University of New York to organize a two-day conference-workshop entitled “Atrocity Prevention in the Americas: Gender Violence, Citizen Security and the Role of the Police.” The event brought 11 academics and expert practitioners from across South, Central, and North America to the Lehman College campus in the Bronx, New York, to share a wide variety of concepts, experiences, and perspectives relevant to atrocity prevention in the region. Following a meet-and-greet reception hosted by White & Case on the evening of November 28, the first day of the event was convened in a conference format, which welcomed more than 100 Lehman College students and members of the atrocity prevention community to attend and participate in the interactive presentations and discussions. 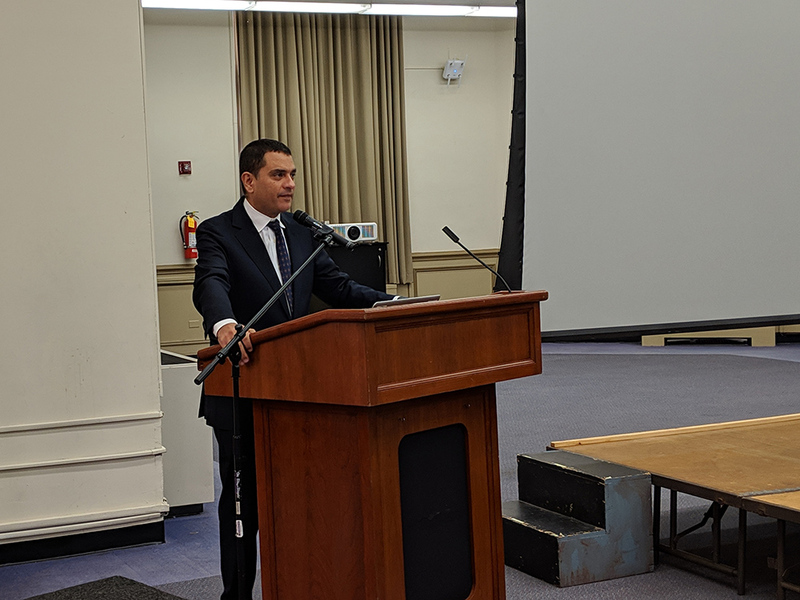 After welcoming remarks by AIPR Executive Director Tibi Galis and Lehman Anthropology Chair and Director of the Center for Human Rights and Peace Studies Dr. Victoria Sanford, Dr. Jose Luis Cruz, President of Lehman College, officially opened the event. 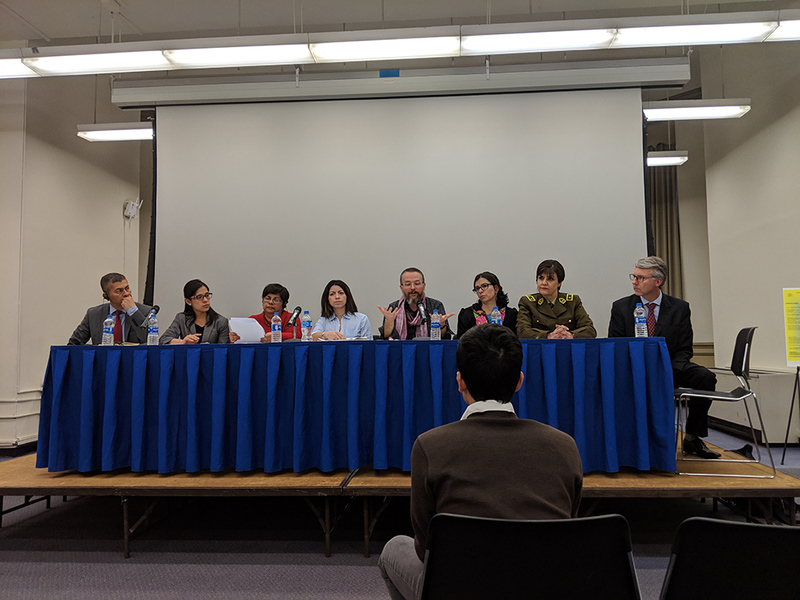 The first panel, entitled “The Sequelae and Prevention of Gender Violence and Sexual Abuse,” was moderated by Dr. Michael Buckley of the Lehman College Center for Human Rights and Peace Studies. Presenting first, Pamela Olivares from the Chilean National Police discussed the recent reforms and initiatives undertaken by the country’s law enforcement authorities in the name of protecting human rights and combatting gender violence at the national and local levels. 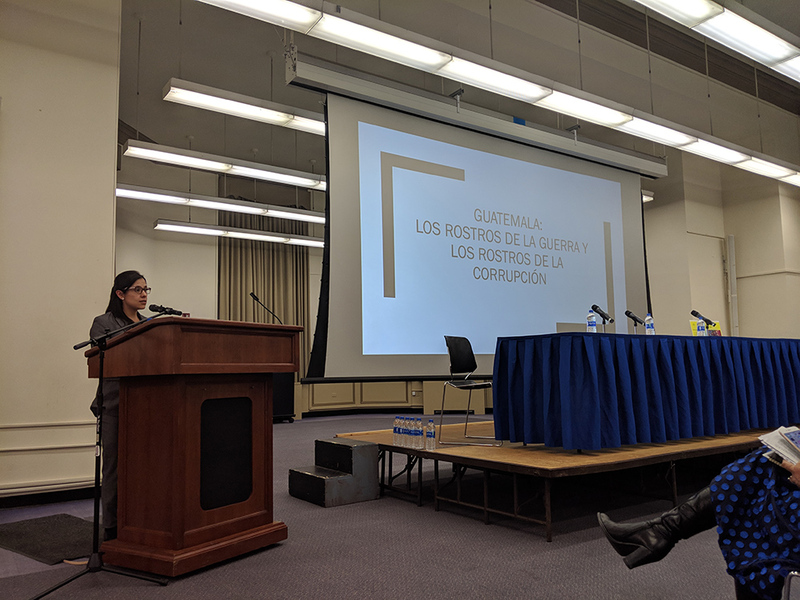 Next, Ximena Antillón Najlis from the Fundar Center for Analysis and Research made a presentation on Mexico’s model for national security and the fight against the repetition of serious human rights violations as it relates to victims and their families. Finally, Marlon Weichert, Deputy Federal Ombudsman at Brazil’s Federal Public Ministry discussed the current state of affairs in Brazil and considered crimes against humanity in a contemporary democratic context. Following an interactive question and answer segment with the initial panelists, the second panel, “Citizen Security and Police Reform in Post-Conflict Societies,” began. Moderated by Max Pensky, Co-Chair of Binghamton University’s Institute for Genocide and Mass Atrocity Prevention, the session started with a presentation by María Marvis Jirón of the Ixchen Women’s Center on the current situation in Nicaragua and the role of the police in the ongoing sociopolitical crisis. Next, Coronel Luis Ernesto García Hernández, Director of Colombia’s Nacional Police Academia, discussed the national police force within the county’s post-conflict social and political context and their ongoing initiatives to fight gender violence and increase citizen security. Tatiana Devia of American University’s School of Law concluded the second set of presentations with a talk on transitional justice, highlighting the role of guarantees of non-recurrence as a preventive tool in the case of Colombia. Following another Q&A session with the panelists, the final panel of the conference was initiated by moderator Nela Navarro, Professor and Associate Director of Rutgers University’s Center for the Study of Genocide and Human Rights (CGHR). Entitled “Police Reform, Corruption, and Organized Crime,” the segment began with a presentation by Jon Carter of Appalachian State University on the current situation in Honduras, with a focus on organized crime, impunity, and femicides. Ana María Méndez Dardón from the University of Guelph then gave the last presentation of the conference, which was dedicated to the current situation in Guatemala, focusing on the importance of guarantees of non-repetition and other transitional justice mechanisms as preventive tools for the promotion of the rule of law in fragile post-conflict societies. The first day of the event then wrapped up with a plenary discussion and concluding remarks from each of the day’s speakers. 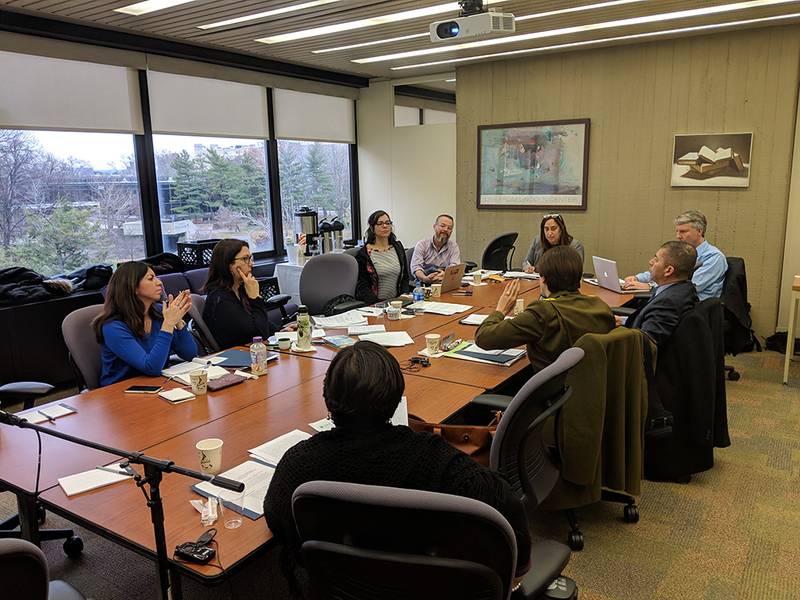 On the second day, the previous day’s presenters gathered in the Lehman College library for a closed-door workshop session. Each of the invited participants shared a working paper on a topic related to their conference contributions and received feedback from both a peer reviewer and the group as a whole. Following the event, authors will be refining and preparing their papers for inclusion in a planned edited volume that will make the conference’s primary outcomes available for members of the global atrocity prevention community.